Hello, I have purchased a licence for a Mac Mini to be able to also use a Windows 10 laptop. I was able to connect them but the mouse is really sensible on the Windows screen and I can barely click on the links its just too runny difficult to control, but when I am on the Mac is ok. How can I fix this problem? is driving me mad. Attached some screen shots. 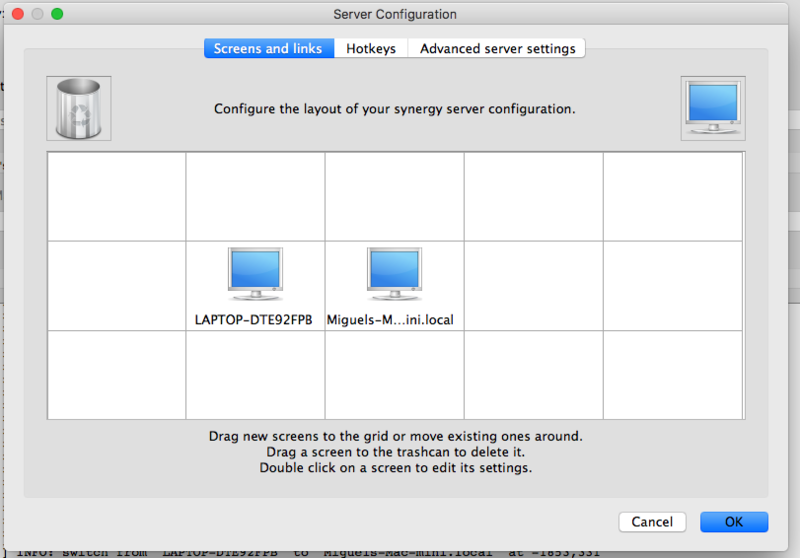 the first 2 are in the Mac and the picture is the windows. What Synergy version are you using @Migu24? not sure where would I found that info.? I just purchased it 2 days ago. The problem is that the mouse on the windows jumps from one place to another I can not click correclty. 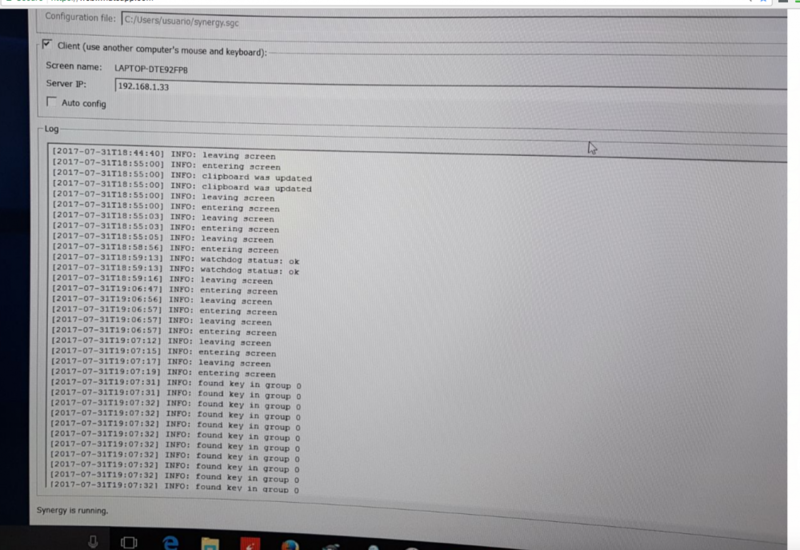 This is what I found Paul. 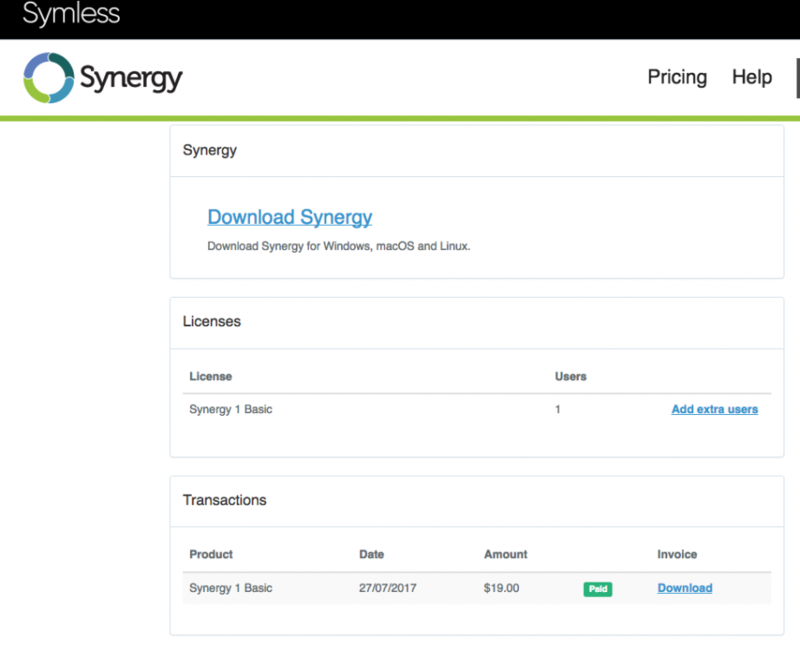 Is Synergy 1.8 MacOs Universal what I have installed, since I choose Mac Universal to do the download. I see. Thank you for the information @Migu24. Can you try using v1.9.0rc3 from the tagged thread below? ok I will. let you know. Thank you.